Air Combat Command: The base is home to the 355th Fighter Wing, responsible for training and deploying A-10C Thunderbolt II pilots. D-M’s aircraft inventory includes 84 A-10Cs, 15 EC-130H Compass Calls, seven HC-130J Combat Kings, 15 HH-60G Pavehawks, a contingent of F-16 Fighting Falcons and 4,000 assorted aircraft in the 309th Aerospace Maintenance and Regeneration Group. 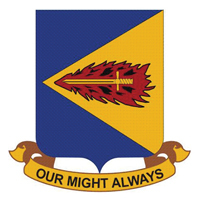 Other units: Currently assigned to D-M AFB are the 12th Air Force, 309th AMARG, 55th Electronic Combat Group, 563rd Rescue Group and the 162nd Arizona Air National Guard Alert Detachment. People: Approximately 6,500 active-duty military personnel, 1,000 Reserve and Air National Guard personnel, and 3,000 civilian employees work at D-M, and nearly 19,000 military retirees reside in the Tucson area. They perform precision aerial maneuvers while highlighting the work of the men and women of the U.S. Air Force. The team also flies formations with historical military aircraft. Mission: Deploy, employ, support and sustain attack airpower in support of combatant commanders anywhere in the world at a moment’s notice; train the finest attack pilots for the Combat Air Forces; provide every member of Team D-M with responsive, tailored, mission-focused base support. Vision: A premier fighter wing comprised of resilient Airmen, armed with precise tools and training; powered by a culture of leadership and innovation; prepared to provide responsive combat airpower, which exceeds combatant command expectations for excellence. Mission: Responsible to the commander for the quality, credibility, and effectiveness of the inquiries, complaints, and fraud, waste, and abuse programs at Davis-Monthan. The IG office investigates complaint allegations and makes recommendations for resolution. 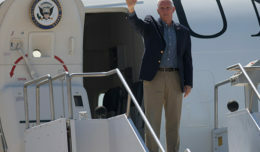 It coordinates with higher headquarters IG offices, secretary of the Air Force, legislative liaison, and Air Combat Command staff directorates to respond to high-level inquiries. It manages, monitors, and reports on the actions of audit, inspection, and investigation regarding Defense Hotline disclosures and acts as the wing liaison for all congressional inquiries. Mission: To improve mission effectiveness by promoting an environment free from personal, social or institutional barriers that prevent Air Force members from rising to the highest level of responsibility possible based on their individual merit, fitness and capability. EO ensures mission effectiveness by evaluating personnel programs, policies and procedures to ascertain if there are barriers that limit or restrict equitable employment opportunities for open competition in the workplace. Mission: Establishes wing objectives and directs planning, execution and reporting of operational readiness exercises, unit compliance evaluations and on and off base emergency management exercises. Develops, coordinates, publishes, and maintains all wing contingency, special, exercise and war operational plans. 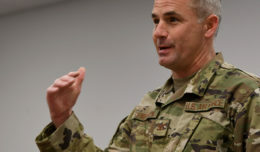 Coordinates site activation task forces, base support for visiting units, base realignment and closure issues, national airborne operations center reception and support and is the wing focal point for TBMCS issues and training. XP also manages the wing operation security program and the air expeditionary force reporting tool. Mission: The CP is the 24/7 operations center; the commander’s eyes and ears to the entire installation. The emergency actions cell monitors emergency response activity, base law enforcement, and responds to emergency action messages and readiness condition changes from higher headquarters. CP processes quick reaction checklists for local emergencies, command and control requirements, and conducts operational reporting. During higher states of readiness and in times of emergency, the command post is combined with the 355th FW battle staff and its support battle staff, fully activating D-M’s crisis response and management capability. It is CP’s duty to keep leaders up-to-date on information necessary to conduct the wing’s mission. Mission: To support the wing mission by providing trusted counsel to leaders, informing Airmen and the community, engagement through media, and to support the joint fight with a full spectrum of PA capabilities. 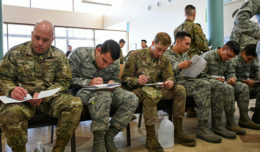 Mission: Provides legal assistance to eligible personnel and legal counsel to commanders on all matters affecting the installation and the mission, including such wide-ranging areas as military justice, administrative actions, ethics, operations law, environmental law, claims, contracts, civil law and labor law. Mission: Deliver sound financial decision-support to Team D-M by providing precise financial services and effective mission resource allocation. Description: The 355th CPTS is responsible for preparing, defending and executing the Desert Lighting Team’s $100 million annual budget. The comptroller is the wing’s chief financial officer and principal financial advisor to the wing’s senior leadership. 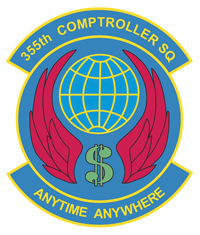 The 355th Comptroller Squadron manages timely and accurate pay and travel services to more than 33,000 military, civilian and retired customers annually. 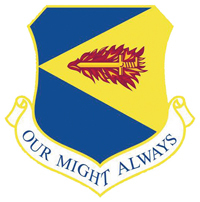 The squadron directs the administrative duties for 18 wing staff agencies. Slogan: Desert Lighting … Strikes! 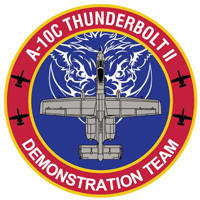 Mission: Conduct initial qualification training to produce combat-ready forces qualified as A-10C pilots for theater commanders worldwide as directed by Air Combat Command. Train and equip a 24 PAA A-10C squadron that provides close-air support, forward air control-airborne, and combat search and rescue to theater commanders worldwide as directed by ACC. Description: There are five squadrons and more than 300 personnel employing 83 A-10C aircraft and an AN/TPS-75 radar system. It provides war-fighters with forces for close-air support, forward air control, and combat search and rescue. It also manages base operations and conducts all formal course directed aircraft initial qualification and requalification training.